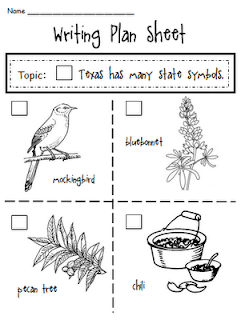 We started learning about the great state of Texas this week. 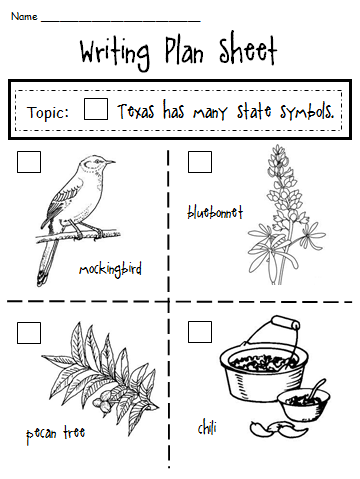 We are focusing on learning the state symbols this week and next week we will be adding cowboys to the mixture. Yee Haw! "Texas is a nice state to visit." If you would like a copy of these plan sheets, you can grab yourself a copy HERE. 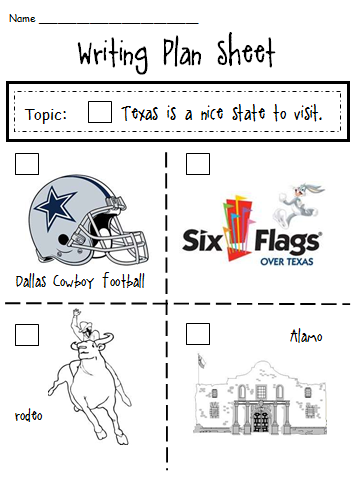 If you are using my plan sheets, I would love to hear how they are working out in your classroom! My kiddos LOVE your writing plan sheets! When they're stuck for an idea, they ask for one, or take one out of their writing folders to use. This helps my littles be successful writers! You're awesome! I just gave you a 'lovely' award. Come on over to my blog and check it out.